This artwork forms the entrance to the unsupervised open visitor‘s centre built on the Bonegilla heritage site. The installation tells personal stories of occupants of the former migrant centre. 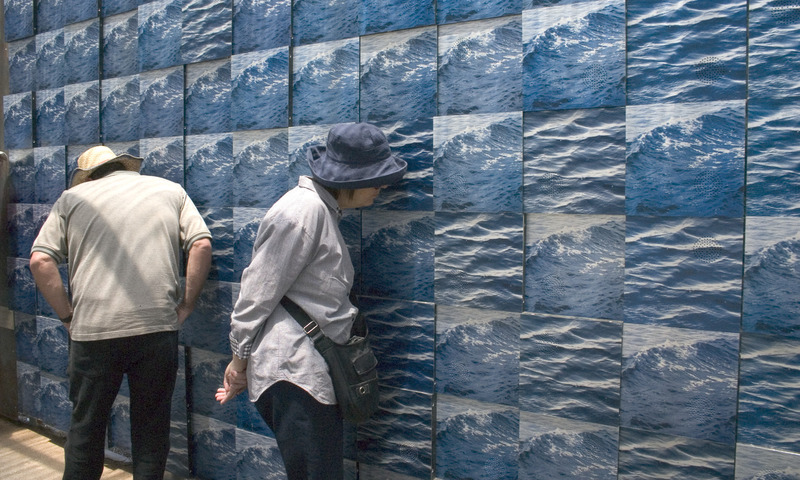 The artwork is a movement-activated, interactive sound wall which holds and presents oral stories of over 200 migrants heard through 150 individually programmed speakers, set behind anodised aluminium tiles. The voice recordings were collected via an oral history project undertaken by Thylacine.